Masato (Maz) Baba is the Artistic Director for TAIKOPROJECT and a founding member of On Ensemble. 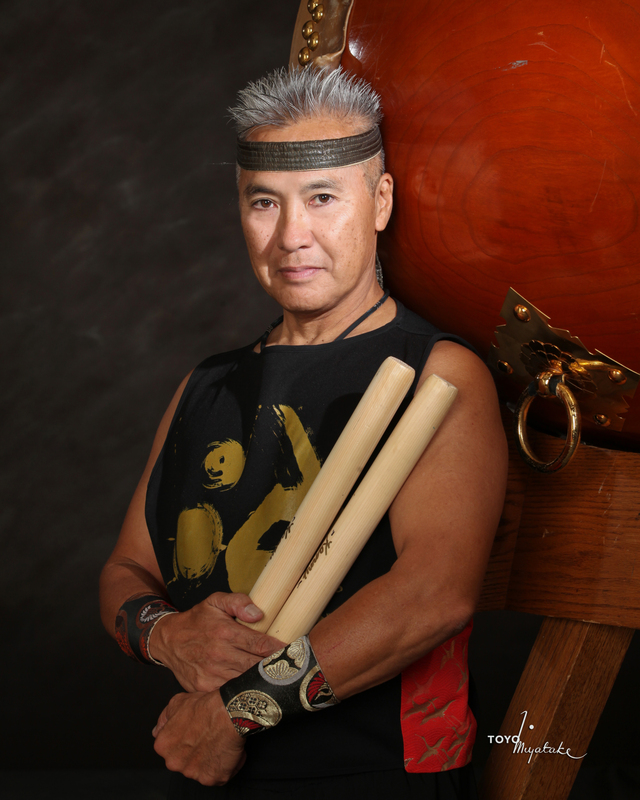 Born into a musical family, Maz started playing taiko at age 6 under the tutelage of his parents and professional taiko players, Russel Baba and Jeanne Mercer of Shasta Taiko. In Honolulu for several years, Maz studied extensively with taiko master, Kenny Endo, played with the Kenny Endo Taiko Ensemble, and taught for the Taiko Center of the Pacific. With more than thirty years of experience studying, performing, and teaching taiko, Maz is one of the most respected taiko players in North America, and has toured extensively not only in the United States but also in Japan, Macau, South and Central America, the UAE, and Germany. I started drumming in college, inspired by a performance of Stanford Taiko for the new freshman. My first friend there, Jon Bailey, encouraged us to try. I went to the tryouts, was horrible, and loved it. After sneaking in to Stanford Taiko, I played more and more during my time at Stanford, graduated and moved to Japan to study, came back to the US to form On Ensemble, quit my part-time day job in LA, and found myself grown up to be a taiko player. In 2013, Yuta Kato and I founded Los Angeles Taiko Institute and I now split my time between teaching there and working on my solo artistic pursuits. I'm in Japan on a composition retreat as I write this. North American Taiko Conference was a huge influence on me, opening my eyes to the breadth of our community and the diverse ways one can love taiko. It is a joy and an honor to participate in NATC as a workshop leader, still watching the masters who encouraged me from the beginning. 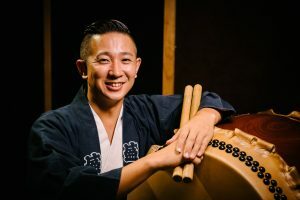 A leading persona in the music world, KENNY ENDO is at the vanguard of the taiko genre, continuing to carve new territory in Japanese drumming. A performer, composer, and teacher of taiko, he has received numerous awards and accolades, including recognition in Japan as the first foreigner to be honored with a “natori,” a stage name and master's license, in Japanese classical drumming. Endo was featured in the 2005 PBS special “Spirit of Taiko.” He has performed for Michael Jackson, Prince; opened for The Who; performed with singer Bobby McFerrin; is on the soundtracks for “Picture Bride,” and Francis Ford Coppola’s “Apocalypse Now;” and worked on James Cameron’s “Avatar.” The Mayor of Honolulu proclaimed a “Kenny Endo Day,” and he was honored by the National Endowment for the Arts for American Masterpieces. He has released 10 CDs of original music. 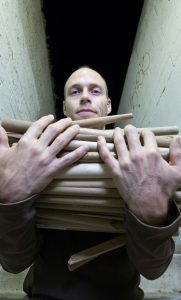 Kenny is a consummate artist, blending taiko with rhythms influenced by his music background and by collaborations with artists from around the world. Kenny's taiko are provided courtesy of Miyamoto Unosuke Shoten. Tomomi Hongo began playing taiko at the age of eight at El Marino Language School in Culver City. Her father, Etsuo Hongo, is a renown taiko artist who established several taiko groups including Los Angeles Matsuri Taiko, San Fernando Mugen Taiko, Venice Koshin Taiko, and El Marino Rainbow Taiko. Her father and mother met through the taiko classes he taught, and Tomomi is fortunate to be exposed to taiko at a very young age. She joined El Marino Rainbow Taiko at the age of eight, then joined Venice Koshin Taiko. 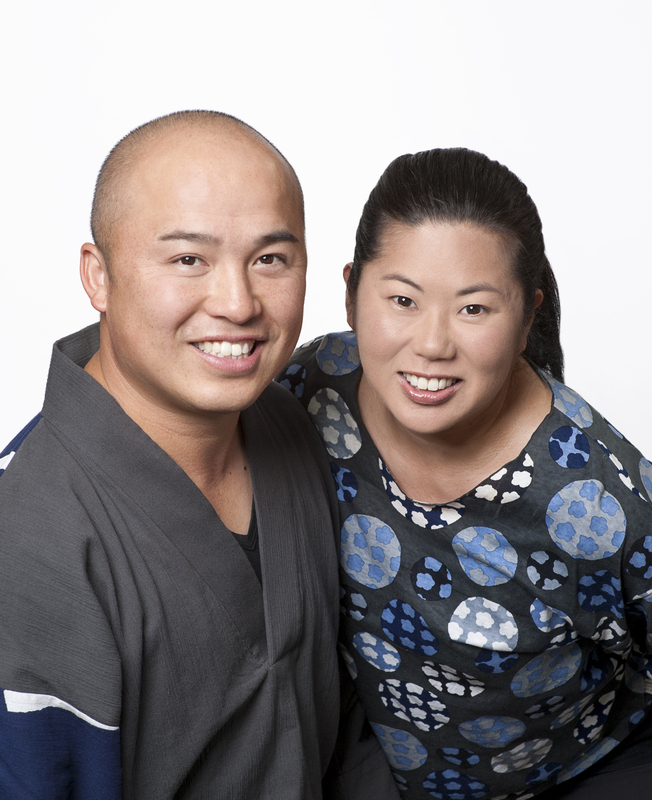 In 2007, Tomomi ventured on her own and joined TAIKOPROJECT where she became a performing member and an instructor for both their youth and adult classes. 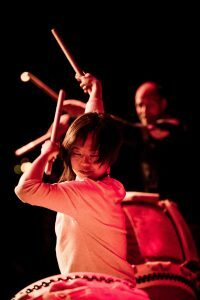 Tomomi toured in the U.K., Mexico, and states across the U.S. with TAIKOPROJECT. She also became the lead taiko instructor for El Marino Rainbow Taiko in 2007. 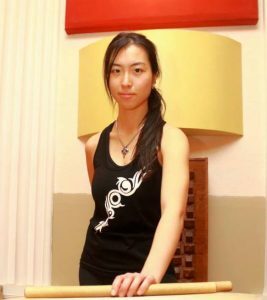 In 2013, she traveled to Japan to study under Yuu Ishizuka and Taro Kobayashi where she was able to study the basics and fundamentals of taiko playing. Eien Hunter-Ishikawa is a versatile drummer, percussionist, taiko player, and shinobue player with a multifaceted musical background. 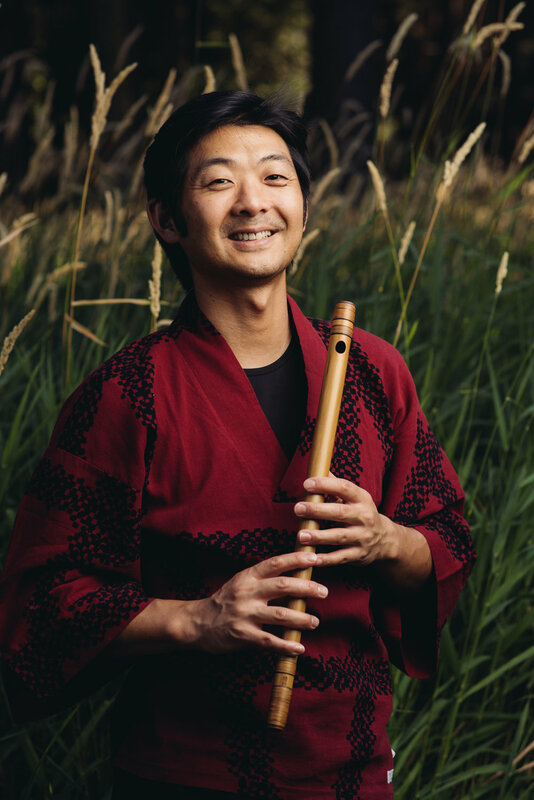 Recognized for his musicianship and versatility, he integrates his training in jazz, Western percussion, and traditional Japanese music to bring a new and original approach to his teaching and performances. 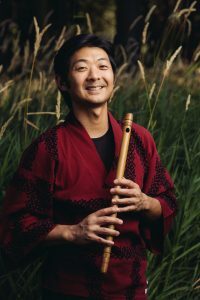 He has collaborated with many pioneers of innovative music including the Robert Hohner Percussion Ensemble, Kenny Endo, On Ensemble, John Kaizan Neptune, and the Vancouver Intercultural Orchestra. After an early musical start with Sukeroku Daiko’s Saburo Mochizuki sensei, Eien earned his Bachelor of Music Education at Central Michigan University and his Master of Music Performance at University of Hawaii at Manoa. He also a passionate advocate and teacher of Edo Bayashi, the traditional festival music of Tokyo, and still maintains his long-term study with Wakayama Shachu’s Kyosuke Suzuki sensei. 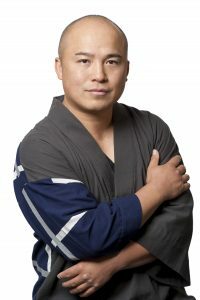 Eien is an in-demand instructor, making his extensive educational content available worldwide through his articles, instructional videos, and online lessons offered on his website at www.eienhunterishikawa.com. 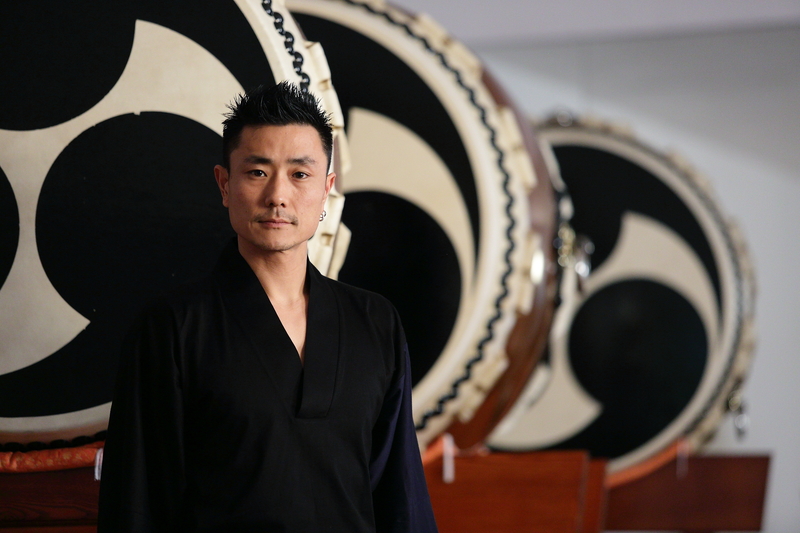 Isaku Kageyama is a taiko performer and educator working with Los Angeles Taiko Institute and Asano Taiko US UnitOne. Formerly a principal drummer of premiere ensemble Amanojaku, he holds a Bachelor of Music from the Berklee College of Music and a Master of Arts from Longy School of Music of Bard College. 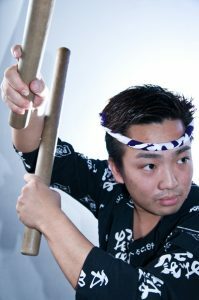 He is also a two-time National Odaiko (large drum) Champion, becoming the youngest person to win highest honors at the Mt. Fuji Odaiko Contest in 2000, and Hokkaido in 2003. 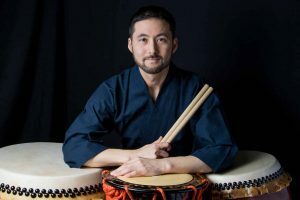 From 2011-2014, Isaku was the resident taiko instructor at Wellesley University and the University of Connecticut, and has held taiko clinics at Berklee College of Music, Stanford, Brown, Cornell, North American Taiko Conference, and the East Coast Taiko Conference. Shoji is a Grammy nominated musician, composer and producer. He started playing taiko at the age of 8 and has spent over 30 years teaching and performing taiko throughout the world. He composed the original score for Abduction: The Megumi Yokota Story, Audience Award winner for Best Documentary at the Slamdance Film Festival. He was featured in the music of the hit NBC TV show “Heroes” performed with Stevie Wonder at the 2008 Democratic National Convention and received a Grammy nomination with jazz fusion band Hiroshima for his work on their album Legacy. As a founding member of On Ensemble and the group’s primary creative force he produced On Ensemble’s critically acclaimed albums. 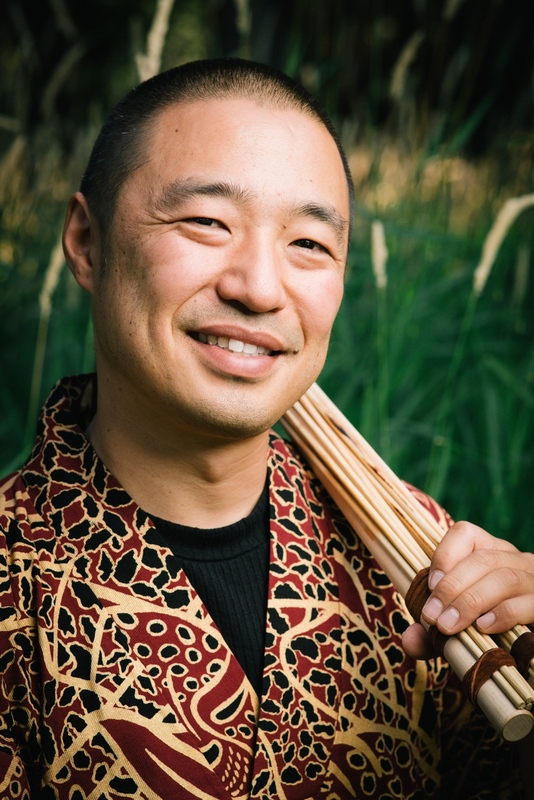 In 2014 he partnered with other leading taiko artists and instrument maker Miyamoto Unosuke Shoten to create kaDON.com an online venture dedicated to making high quality instruction, repertoire and instruments accessible to the entire taiko world. Yuta Kato was born and raised in California to a Japanese-only speaking family. Introduced to taiko by Kagami-Kai, a local rice-pounding group, he decided to further his studies with San Francisco Taiko Dojo at the age of 10. Since then, he has been a part of UCLA Kyodo Taiko, Nihon Taiko Dojo, Getsuyoukai, and professional groups: TAIKOPROJECT, ON Ensemble, and Portland Taiko. From Fall 2007 until Winter 2011, he resided in Japan to study under masters of various traditional Japanese music. Upon returning to the US in 2011, he served successfully as Coordinator for the 2011 North American Taiko Conference, one of the largest gatherings of taiko players from around the globe. 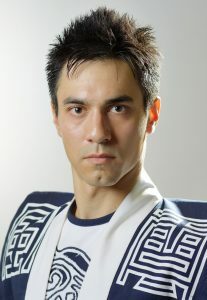 Kato is also a sought after taiko instructor and has been invited to teach throughout the world. He currently resides in California serving as the principal and instructor for LATI (Los Angeles Taiko Institute) housed at Asano Taiko US, which opened in 2013. He performs as a member of UnitOne (Torrance, CA). Chieko Kojima first encountered Japanese folk dance when she moved to Sado Island to join Sado no Kuni Ondekoza in 1976. She was one of the founding members of Kodo in 1981 as well as the female song-and-dance trio, Hanayui. Kojima also has an active solo career including the well-received project, Yukiai. She is most well known for her original dance contributions to Kodo's taiko-based performances, including her vivid portrayal of the goddess Ameno-uzume in the first tour of Kodo’s Amaterasu in 2006. In 2012, Kojima became a Kodo Distinguished Member and the Ongoing Programme Director for the annual concert series "Kodo Special Performances on Sado Island." In 2013 she toured Europe as Cultural Envoy from Japan's Agency for Cultural Affairs. Chieko continues to broaden her expressive outlets, as demonstrated by her recent productions based on the “Tales of Dojoji.” She has collaborated on this project with taiko groups in Japan, North America, Europe and Australia. “Tales of Dojoji” became the inspiration for her first photo book, “Kasane no Kiyohime Monogatari: The Myriad Layers of Kiyohime,” a unique work created with photographer Maiko Miyagawa and released in 2015. Russel Baba - 46 years taiko & fue experience - starting in 1972 with San Francisco Taiko Dojo; co-founder of Shasta Taiko (1985 to present) & ShastaYama (2005-2016). Pioneering American taiko artist. 52 years experience on saxophone & flutes - performed & recorded original music with jazz artists Andrew Hill, Michael White, & Eddie Moore; taiko artists Jeanne Mercer, Masato Baba, & Shoji Kameda, & butoh dancers Min Tanaka & Koichi Tamano. Original work has received favorable reviews in national publications DownBeat, Jazz Times, Musician Magazine, Coda, & Cadence. Awarded 12 Artists in Residence & 3 Multi-Cultural grants & served as panelist for the California Arts Council. Leader of Tadaima, a creative music ensemble. Jeanne Mercer - 46 years taiko experience - starting in 1972 with San Franciscio Taiko Dojo; co-founded Shasta Taiko (1985 to present) & ShastaYama (20052016). Pioneering American taiko artist. Performed & recorded taiko with improvisation & jazz with Russel Baba Masato Baba, Andrew Hill, Michael White, & Eddie Moore. Awarded 12 California Arts Council Artist in Residence grants. Member of Tadaima. Yeeman "ManMan" Mui is an experienced performing artist and acclaimed teacher. 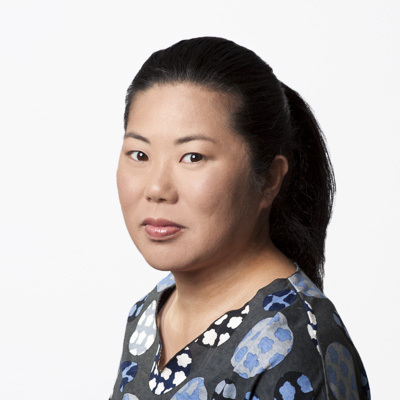 She is the founder and director of Taiko Together, a parent-child taiko drumming program for age 2-11. ManMan now teaches at Los Angeles Taiko Institute, performs as a solo artist, and gives workshops to groups around the globe. She has also founded the professional development program for teachers titled Taiko FUNdamentals. As a Taiko Center of the Pacific Fellow in 2012-2014 and performing member from 2013-2017, she received extensive training with Kenny Endo, Chizuko Endo and the Taiko Center of the Pacific performing ensemble. 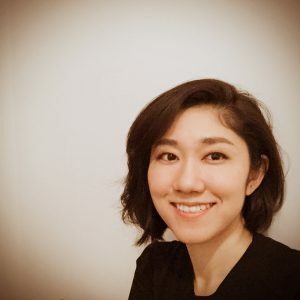 She has an MPhil in Musicology from the University of Hong Kong and is a certified Orff Schulwerk instructor (San Francisco International Orff Level I-III). Award-winning contemporary composer Yoko Nakahashi has been internationally performing and teaching taiko. Aside from composing in contemporary music world, she is a regular member of Taiko Masala since 2006, and she has been teaching as an official taiko instructor of BNJCC, Columbia Taiko in NYC, and Greenwich International School in CT. She also serves as a taiko coach for Biwanko in NJ, and as a guest instructor for many schools and community-based taiko groups such as Bergenfield High School Taiko Ensemble in NJ. 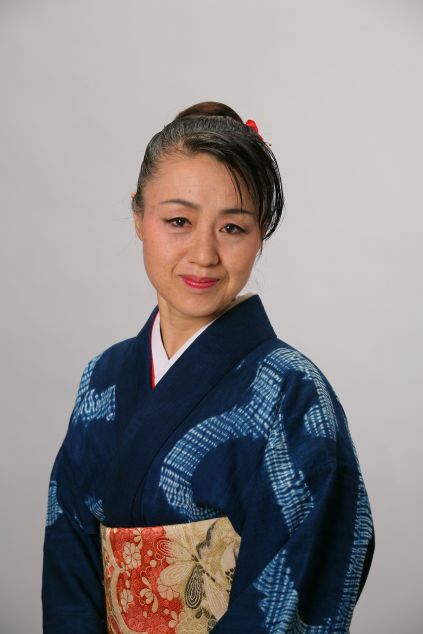 She is a certified Osuwa Daiko music instructor and a member of New York Suwa Taiko Association. She competed as a finalist in the Okaya World Taiko Competition in 2016. Yoko performed solo Odaiko for Kelela/Lafaunder NYC national act. 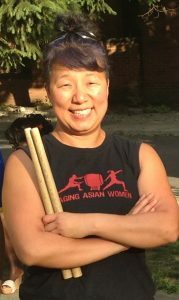 In 2016, she founded Navy Yard Taiko to build affordable equipment for collegiate and emerging taiko groups. In 2017 Yoko was selected to be an NATC workshop leader for the first time and she feels very honored to be part of the North American Taiko Community. Kristy Oshiro is a professional taiko artist based in Sacramento and the San Francisco Bay Area. 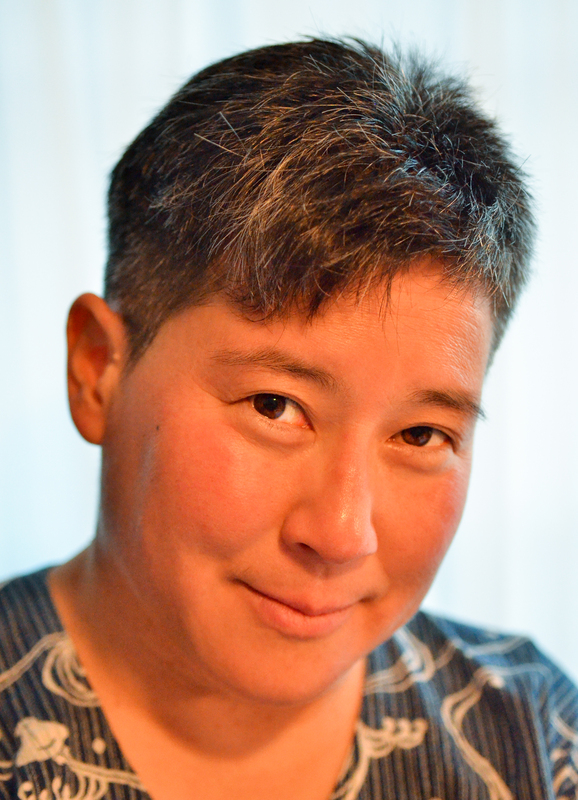 She started playing taiko at age 9 in Kona, Hawai’i with Kona Daifukuji Taiko and was an instructor and touring ensemble member of Portland Taiko from 2001-2007 while getting her bachelor’s degree in Music Performance in Percussion at Portland State University. 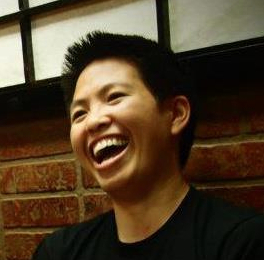 She was also an instructor and youth programs director at Sacramento Taiko Dan from 2007-2014. Kristy is currently the Artistic Director of the Tsubaki Ensemble, Creative Director of Placer Ume Taiko, founder of Queer Taiko, instructor for San Mateo Buddhist Temple Taiko, a touring member of Taikoza, and has performed and given taiko workshops across the US and in Canada, Japan, Switzerland, Italy, Russia, Australia, New Zealand, and Colombia. Young Park was born in S Korea and immigrated to the US when she was six. She started playing the viola at the age of 10. She received her BM from Oberlin College and her MM from University of Michigan. For 12 years, she was the artistic director and the principle choreographer of SAFMOD (SubAtomic Frequency Modulation OverDrive), a music and dance performance ensemble based in Cleveland, OH. She immigrated to Toronto, Canada in 2005 and joined the Raging Asian Women Taiko Drummers in 2008. She became the managing director of RAW in 2015 and the artistic director in 2017. She is also the director of Toronto Taiko Festival (2012 & 2017). Born in Okayama Prefecture, Japan. Taiko Artist Masayuki Sakamoto began his taiko career at the age of 12 with a local taiko group. He performed with the taiko performing arts ensemble Kodo for 13 years. 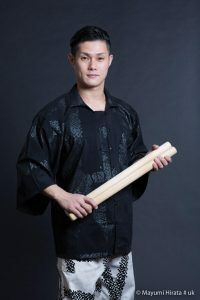 Sakamoto was featured as the key performer on katsugi-okedo and odaiko in many tours internationally and throughout Japan. He has collaborated with many artists of different genres and appeared on stage in many external productions. In 2015, Sakamoto supervised and developed a tunable okedo taiko, the Kanade, in conjunction with Kodo and Asano Taiko. The design received the Japan Good Design Award from the Public Interest Incorporated Foundation of Japan Design Promotion Association. Sakamoto is now embarking on innovative new musical projects working with instrument manufacturer Roland on the world’s first electronic katsugi-okedo taiko. In 2018, Sakamoto began his career as a solo taiko artist, performing worldwide with his versatility and flexible mindset. Aiming to be a taiko performer with a solid skill set and originality, he hopes to widen his performance range throughout Japan and around the globe. Joe Small is a taiko artist and Assistant Professor of Dance at Swarthmore College. He has been a member of Eitetsu Hayashi's ensemble, Fu-Un no Kai, since 2012. Joe encountered taiko in 2002 as a college student, receiving initial training under Kenny and Chizuko Endo and through internships with San Jose Taiko and Portland Taiko. In 2006 Joe received a Fulbright Fellowship to Japan for taiko research before entering Kodo's two-year apprenticeship. Upon completion, Joe returned to the USA and became a performer for Taikoza. Based in LA from 2014~2017, Joe co-founded Small Mountain Studios with Isaku Kageyama and taught at LA Taiko Institute. In 2015, Joe debuted the evening-length work, “Spall Fragments”, which toured LA and San Francisco in 2016. Joe joined Australian professional ensemble TaikOZ as a guest in 2015 and for their 2017-2018 season. Joe has performed and taught throughout the USA, Canada, and Japan, as well as Australia, Hong Kong, Spain, and Switzerland. Joe holds a BA in Dance from Swarthmore College (2005) and an MFA in Dance from UCLA (2015). Uchiwa Daiko - Falling and Catching in "Forest"
Michelle Fujii and Toru Watanabe, Co-Directors of Unit Souzou, met at Warabiza, Japan’s foremost traditional folk dance troupe located in Northern Japan. Fujii was awarded the prestigious Bunka-cho fellowship from the Japanese government to study dance at Warabi-za, where she studied under the tutelage of Artistic Director, Shohei Kikuchi. Watanabe was a professional company member appearing in more than six original musical productions and teaching within Warabiza's in-house residency program for youth. They have been performing members and guest artists within many premiere North American taiko groups including San Jose Taiko, On Ensemble, Portland Taiko, TaikoProject, and Shasta Taiko. 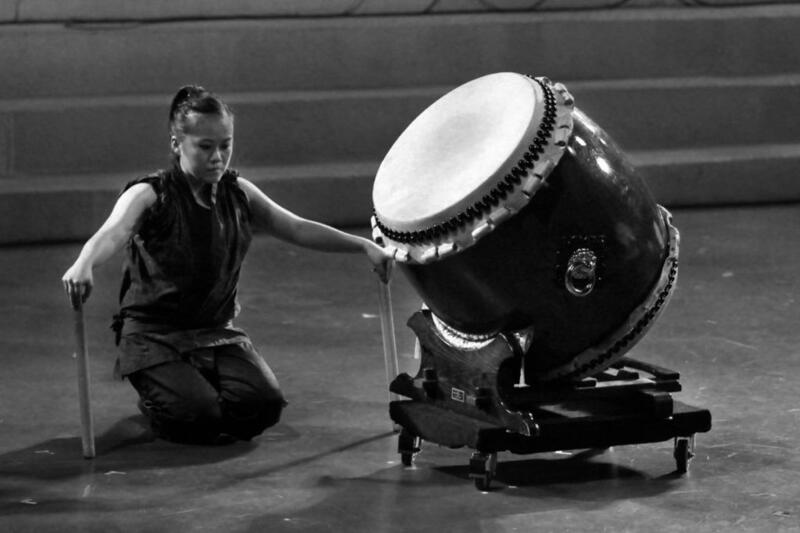 Both are relentless innovators known for their groundbreaking fusion of taiko and Japanese folk dance. In 2014, they created Unit Souzou building creative and imaginative works for the art form of taiko. 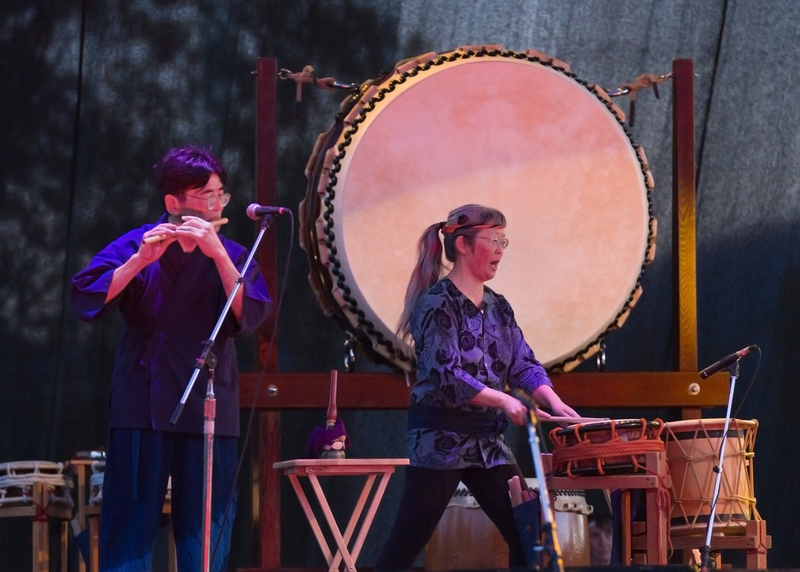 Through Unit Souzou, they are deeply committed to share taiko through teaching in schools, collaborating with the local community, offering public classes and creating groundbreaking theatrical works. Tiffany is an internationally renowned instructor and performer who has facilitated a number of fun and memorable NATC workshops since 1997! She is totally TaikoBaka and a certifiable taiko geek with a passion for spirited playing & injury prevention, but whose most recent work has been centered around Women & Taiko in an effort to help increase opportunities for professional and artistic development for women within the international taiko community. Founder & Artistic Director of the Sacramento Taiko Dan which celebrates its 30th Anniversary this year (2019), she is also founder of the Jodaiko International Women's Japanese Percussion Ensemble (1988) & the current Kumigashira for and founder of the North American Kasuga Ondekogumi. (2016). Tiffany has toured as a solo artist and with a number of professional Wadaiko ensembles throughout North America, Europe, and Japan. Despite a travel-intensive schedule of performances, classes and workshops for various groups and conferences each year, she maintains an easy-going and occasionally humorous approach. Many attendees have described her workshops as positively transformative. More Info + Schedule @ tttaiko.com. New York City-based musician, Fumi Tanakadate has a unique combination of expertise in Western classical music- with a Masters degree from the Manhattan School of Music in piano performance- and a background in Japanese music, both traditional folk dancing, drumming and flute playing from her hometown festival in Japan, along with a long-term, intensive apprenticeship with Kaoru Watanabe, a former member of Kodo. Tanakadate is now a frequent collaborator with Watanabe, performing music that blends the nostalgic sound of Japanese traditional festival and theater with the improvisational interplay of jazz and contemporary. She has performed across the United States, Europe and Japan and has shared the stage with such artists as Semba Kiyohiko, Shane Shanahan of the Silk Road Ensemble, Kenny Endo, Chieko Kojima and Yuta Sumiyoshi of Kodo, and On Ensemble. Tanakadate also serves as a main instructor at Kaoru Watanabe Taiko Center, teaching all the classes and giving educational workshops at local schools and colleges. She has also taught at the East Coast Taiko Conference and the 2019 European Taiko Conference. 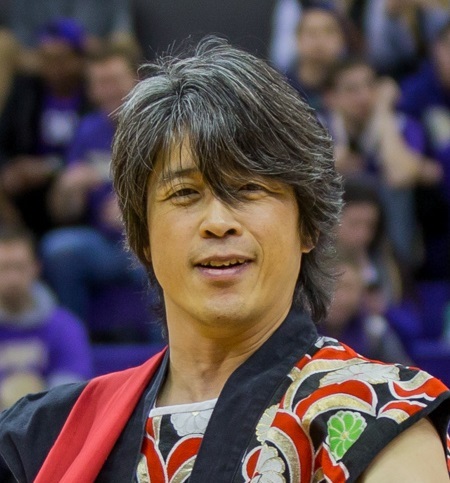 Ringtaro Tateishi is a former member of Ondekoza and the co-founder of The School of TAIKO, a Taiko school in Seattle. He started a new professional Taiko group, Chikiri, in 2014. His partner, Asako also established “Japan Creative Arts” to popularize and develop Japanese traditional music and to fuse different cultures. 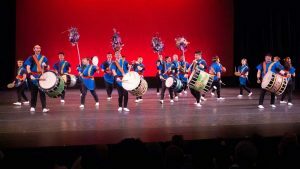 They invited professional Taiko drummers to the “Bellevue World Taiko Festival”, including Yu Imafuku (2014), Akira Katogi (2016), Miyake Taiko Geino Doshikai (2018) from Japan, and Kenny Endo (2017) from Hawaii. From 1989 to 2000, he joined Ondekoza. As the artistic director of the group, he visited over 26 countries and held over 1,000 performances, including Carnegie Hall in New York. From 2002 to 2009, he performed daily at Walt Disney World/EPCOT in Florida and held concerts around the U.S. as a member of Matsuriza. Then, in the fall of 2009, he moved to the Seattle area to establish his own school and a professional group Chikiri. David Wells began his musical journey as a clarinet player under the guidance of his father, a professional jazz musician. 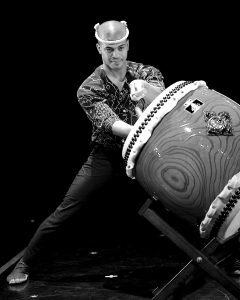 In 2003, he discovered Stanford Taiko, performing internationally with the group and eventually serving as one of the group's Artistic Directors. 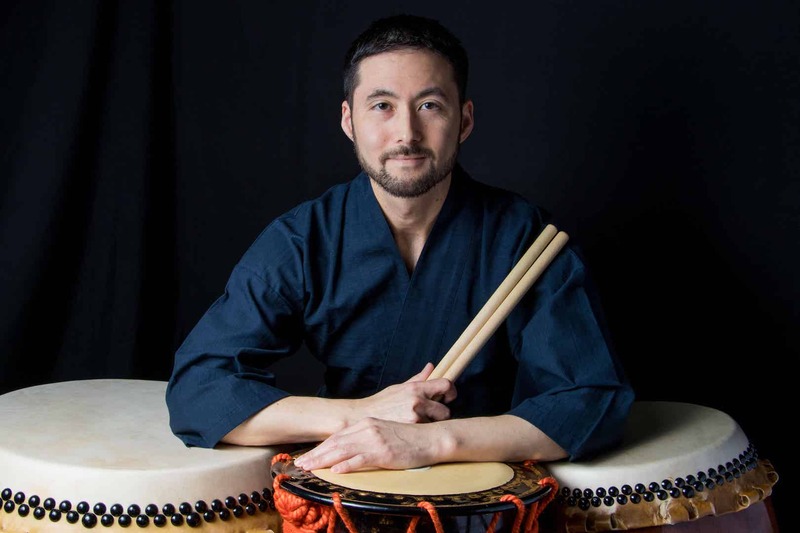 Since then, David has trained extensively in the U.S. and Japan; he has performed with such groups as the Kenny Endo Taiko Ensemble, TAIKOPROJECT, Prota, On Ensemble, and Unit Souzou. An instructor at the Los Angeles Taiko Institute and an avid composer, David has created works for all of the ensembles with which he has performed in addition to several commissions. Bryan Yamami founded TAIKOPROJECT in 2000 with the idea simply to create a modern American expression of taiko with the best next-generation taiko players. 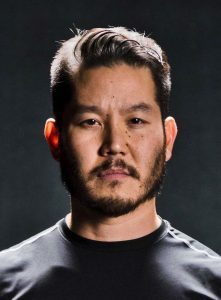 Bryan served as creative lead for the acclaimed 2005 Mitsubishi Eclipse commercial, for recording sessions for Nike and Target, and for the group’s appearances on the 2009 Academy Awards, the 2011 Grammy Awards, Conan, Jimmy Kimmel, and the Late Late Show. He has performed with John Legend, DJ Tiesto, rock band 30 Seconds to Mars, Sean Paul, Reggie Watts, and the legendary Stevie Wonder. He recently directed TAIKOPROJECT's youth performers in televised appearances in Nickelodeon's "That's Me" media campaign and MTV's 2018 Movie & Music Awards with Chloe X Halle. Growing up in Yokohama, Shogo Yoshii started playing taiko (Japanese drums) at age 14, and Kokyu (Japanese violin) at age 19. Shogo was involved heavily in the study of Japanese regional folk performing arts until 2003 when he joined the world-renowned Japanese drum performing troupe Kodo. He was a member of Kodo for 10 years, performing and touring internationally at over 1,000 venues averaging 110 performances performances a year including the Fuji Rock Festival and numerous high-profile international festivals and venues. He also played an active role as stage director/producer and composer for Kodo. In 2013 Shogo Yoshii left Kodo to pursue a career as a solo artist. As a solo artist he has collaborated with international projects and is a sought after composer, performer and teacher.